Illustrating one of his favorite quotes, Wayne gives an abstract styling to the wise words of Albert Einstein. Wayne has always had an obsession with inspiring messages, for example, keeping each and every fortune cookie fortune he has ever acquired. During an awakening at the start of his thirties, Wayne became fanatical about wise and inspired observations by the greatest minds in history. After raking through books and websites, he came across this particular Einstein quote that just resonated with his worldview. 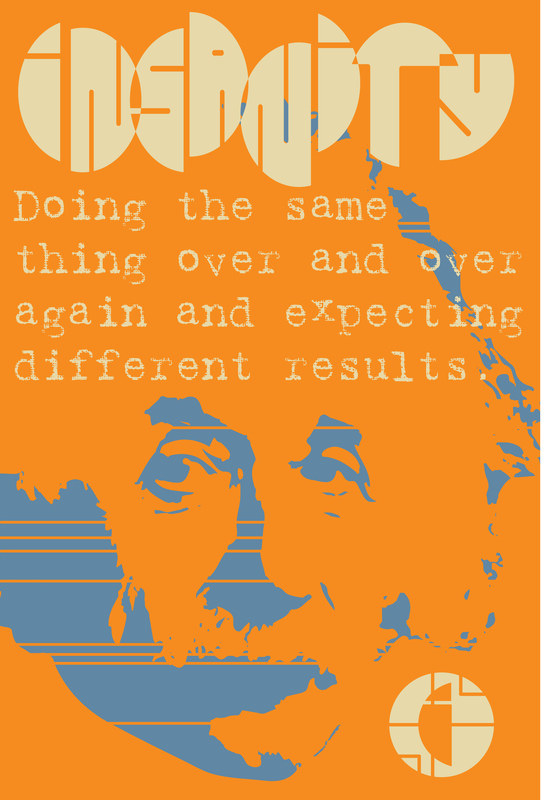 The digital rendering inspired by this quote was achieved entirely in Adobe Illustrator, and serves as a daily reminder of the importance of life changes for positive personal growth.